It's time to have a look at some animals that often display affection towards each other, and hold a kind of marriage by forming life pairs, making the distance between us and them not quite so large after all. Let's start with penguins, they form bonds that last a lifetime and go through an exhausting process of raising many offspring together. Sound familiar? 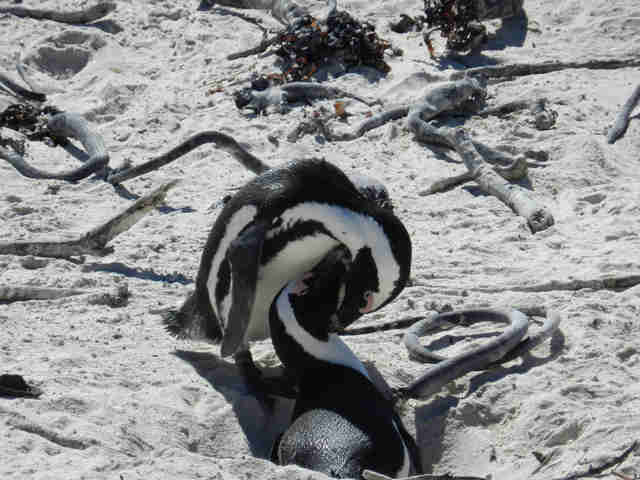 They have to have extended periods of time where they find themselves in a long distance relationship, as one goes to feed in the ocean, while the other stays on land nursing the egg that will gradually become a chick. But these days of separation are not a hindrance it seems, as when one leaps back onto land with a belly full of fish, and calls out to his or her partner, the other will always recognize the cry and will respond in order to bring the pair back together again. A sort of lifelong romantic game of Marco Polo. 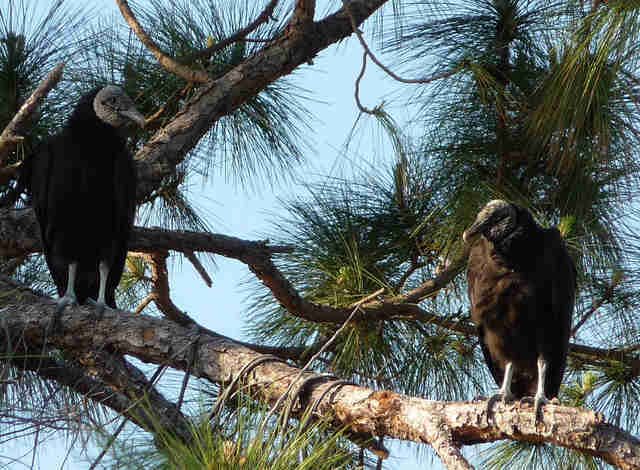 The black vulture is another animal that stays with the same partner for life. While usually seen as ominous creatures that are associated with death and decay, it appears that these birds are very family orientated in their approach to breeding. Black vultures discourage infidelity as a species, attacking and shunning those that are seen to be unfaithful to their mate. Both parents share the duties of bringing up their chicks and spend much of their time together, demonstrating the classic family unit that humans often follow - which is quite a nice image that slightly destroys the one of the death hunting and terrifying bird that we usually think of when vultures are mentioned. Gibbons form unions that can last a lifetime, and cement these bonds by spending hours each day laboriously and carefully grooming each other. 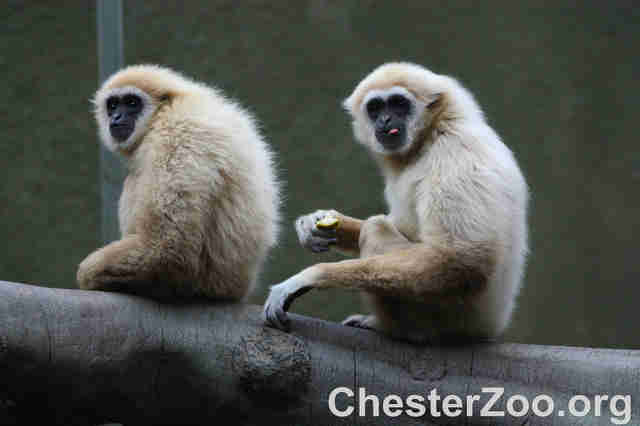 Some gibbons do indeed spend their whole life together, but evidence has been found that shows that the family unit does not sometimes last. Even after many happy years together, male gibbons can suddenly have an affair, and some have even been seen to dump their current mate and move onto a new female pairing. Evidence that is rather reminiscent of human behavior! 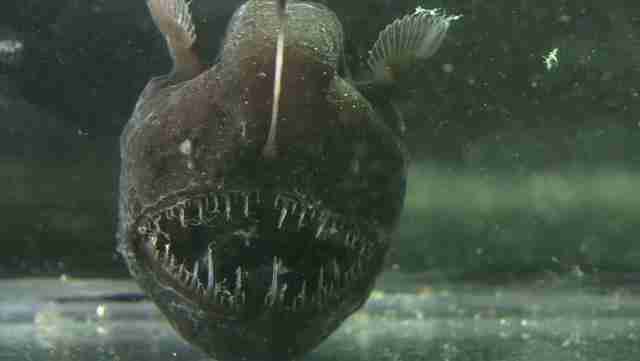 A species in which the male completely depends on the same female for the rest of its life, is the angler fish. 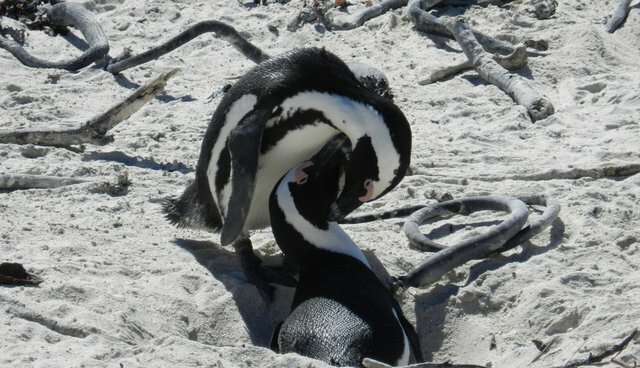 The male follows the scent of a female until he finds her, and bites her, as he does so he releases an enzyme that dissolves his mouth and lips. From this moment, they are fused together until the male dies. Not quite as romantic as it first appeared, but this is definitely one animal that is entirely monogamous for its lifetime. 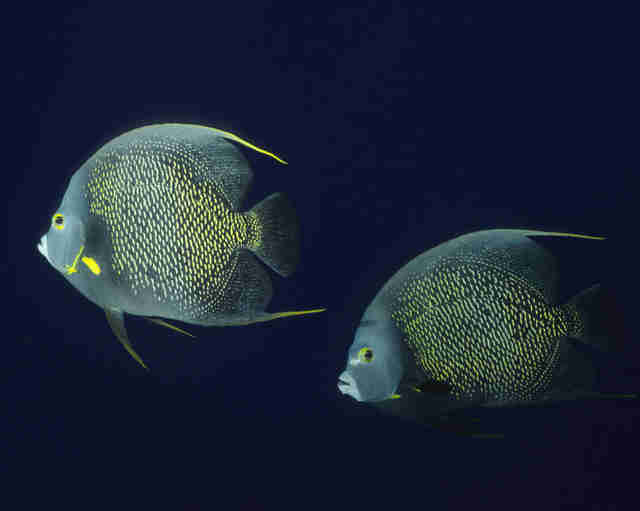 One animal that is the epitome of romance is the French angelfish (how could it not be, it's French!) Pairs form for life, and spend all moments of their lives together - eating, hunting, sleeping, and defending their territories. The only time when they are on their own is if one half of the pair has died, and the surviving fish never finds another partner, always remaining devoted to the departed. In the mood? Why not check out all of Frontier's wildlife and marine conservation projects and volunteer opportunities. Planning a gap year? Have a look at Frontier's ethical adventure trails.